Both practical and attractive, this Premium Stainless Steel Four-Sided Fireplace Surround offers the perfect finishing touch for your Napoleon LHD45 Linear Series Gas Fireplace. A built-in safety screen protects your family from sparks and the stainless steel construction gives your hearth a sophisticated accent. Covers 51-inch by 19.5-inch openings. 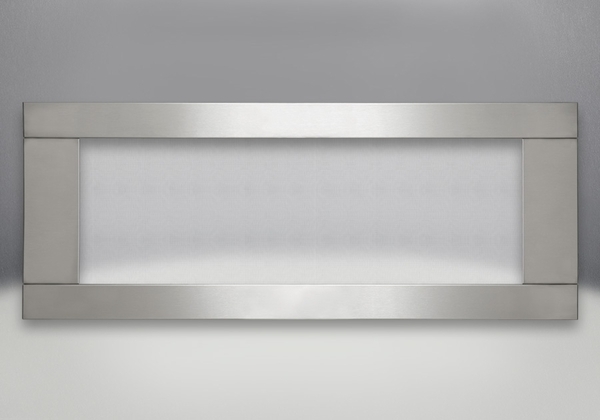 Can you tile flush mount with this stainless steel trim? No, this model's required surrounds do not provide for a flush installation. Can this trim be installed on any fireplace? This product is made specifically for the Napoleon LHD45 linear series. You may only use the trim kits listed in the installation manual for your fireplace.